Socrates believed that the unexamined life is not worth living. Modern technology has morphed that philosophy into a data-driven movement called the Quantified Self. Fitbits and iPhones record our REM sleep, skin temperature, calories burned, steps taken, and dozens of other mundane personal statistics. We track daily habits of spending, thinking, and eating down to the penny, ponder, and pound. Self-awareness now starts and ends with numbers: The unquantified life is not worth living. Yet, some of the most significant lives in world history have scarcely been quantified. 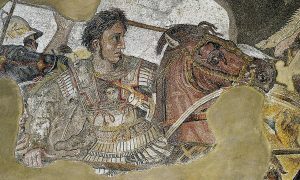 For example, more has been written about Alexander the Great than any other human since antiquity. That amounts to millions of words over thousands of years. As a result, Alexander’s life has certainly been examined, but has it ever been meaningfully quantified? That is a question likely to disrupt the REM data on the smartwatch of any conscientious historian. I learned this firsthand while researching and writing my latest book, The Treasures of Alexander the Great: How One Man’s Wealth Shaped the World (Oxford). My goal was to discover something new about the Macedonian king by exploring the residual numerical data from his reign. I scoured the surviving ancient sources and found fewer than 800 quanta among all those records. Remarkably, modern self-quantifiers generate more data driving to work each day than did an entire army of Greeks marching to India and back. The most quantified aspect of Alexander’s life was no surprise: We know a lot about his military leadership, from reported figures for troop deployments and battle casualties to the miles sailed and marched. That data was mined forty years ago by Donald Engels in his groundbreaking book Alexander the Great and the Logistics of the Macedonian Army (California). 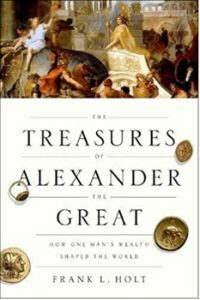 More relevant to my interests were the few but fascinating quantifications I gleaned about Alexander’s wealth, from the debts he inherited from his father to the exorbitant salaries and bonuses he doled out to his followers. I set myself the task of understanding Alexander’s finances as a way of unmasking his much-debated motivations and methods. I wanted to know whether his policies were ever shaped by economic considerations. What kinds and quantities of wealth did he accumulate by plundering and enslaving enemy populations? On what did he choose to spend his revenues? Whose job was it to safeguard the king’s monetary resources, and how well was this done? 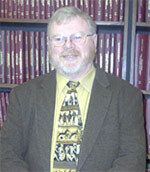 I wondered if any of his treasures still existed today. Building on the economic data I could dredge from the ancient sources, I devised a methodology to answer these questions. I tabulated every reported instance of financial gain whether quantified or not. For example, after capturing Gaza in 332 BC, Alexander sold into slavery an unspecified number of women and children for an unstated amount of money. There are 24 such incidents in our sources, but only one provides a reference to actual profits from the sale of enslaved peoples: in 335 BC, Alexander auctioned 30,000 Greek captives for 25 tons of silver. Thus, we know more about how often Alexander sold captives into slavery than about the total profits, but the results are instructive nonetheless. I likewise compiled data for all the king’s expenditures and losses, such as the 95 pounds of silver he paid for a dog in India and the 5.7 tons of silver he spent to commission one portrait of himself. In the end, I calculated that Alexander’s profits from war amounted to at least 17,000,000 pounds of silver at a time when a skilled carpenter earned just 0.3 ounces of silver per day. Such a man must hammer and saw for 2,484,018 years, without a day’s rest, to match Alexander’s wealth. It has often been argued that while our carpenter had no hand in Alexander’s till, he must have benefited, if only indirectly, from the sudden infusion of so much money into the Greek labor market. That economic stimulus has been hailed as the literal silver lining in Alexander’s plunder of the Persian Empire, likened by many to the discovery and despoliation of the Americas by the imperial powers of Europe. More and more these days, Alexander wannabes on Wall Street tout the conqueror as a model investor and entrepreneur. He monetized idle wealth for the world’s benefit – case closed. My research invites us to reopen that debate. Even setting aside the inescapable fact that war redistributes wealth violently and often wastefully, the numbers do not support the claim that Alexander brought about long-term economic progress throughout his realm. Some of the silver he “liberated” from Persia was quickly idled again in buried hoards or abandoned as tomb offerings. That money built no businesses, educated no children, freed no slaves, and expanded no cities. On several occasions, the army’s accumulated treasures were deliberately destroyed by royal decree simply because the burden was too massive to carry any farther. This does not mean that all profits were lost. Some individuals became insanely rich, such as the generals Ptolemy and Lysimachus, or the king’s notoriously corrupt chief treasurer who embezzled several fortunes with impunity. Amazingly, enough of the king’s money still exists that few people on earth are far from a public or private collection containing some of the coins he minted. These coins, however, are the ones that were hidden away in hoards with no active role in the ancient economy. The quantified Alexander raises many unsettling questions about the relationship of wealth and war. Should the king be held accountable for what he took and what he did with it? If the morality of his day condoned looting, slavery, genocide, judicial murder, and financial malfeasance, have we any right to impose our own moral judgements on such actions? Sure, Alexander was great, but was he good? I conclude that Alexander may be admired, even defended (as I have a reputation for doing), but not blindly or dogmatically. I set out to follow the data wherever they might lead, and that turned out to be a rather dark place. That is the risk all of us take when seeking the quantified self. This entry was posted in Alexander the Great, Greece, Greek, History. Bookmark the permalink.